We, at TBG Bridal Store, boast of giving only the best of best services. This is made possible because of the very fact that we, at TBG, hire only the best artists or professionals who come up world-class services. The selection procedure for the makeup artists, hair stylist and other professionals like cosmetologists, nutritionists, etc., are extremely thorough and rigorous that makes sure only the best of the kind is being hired for the prospective South Indian brides. In short, TBG teams constitute only the fine and crème professionals to cater to its clients. Read further to know why we say so. 1. It is a great opportunity for rightly qualified and certified artists. Certified qualification is a prime parameter considered while shortlisting the applications submitted for TBG artist position. 2. Experience is like an added bonus for people applying for the position of TBG artist. High weightage is given to the experience of the candidates in respect to the bridal industry. So if you, while reading this article; have the right qualification and experience you can explore a whole new world of creativity through TBG. 3. Personal background check is done by TBG team. 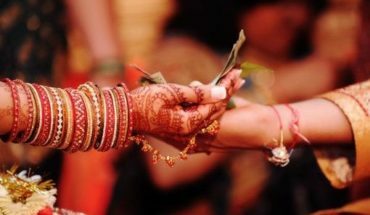 Individual verification of artists is done before they are selected as one of the TBG professionals and serve South Indian brides for their wedding and reception purposes. 4. Our TBG artists are evaluated based on skillset, perfectionism and MOST importantly attitude, because we believe they must handle all the situations smartly and help brides during the wedding day stress. Most brides and their family panic on the wedding day for every minute detailing of the bridal look. It is important that artists don’t go hysteric under pressure and handle such situations calm headedly. So, if you are someone who can hold strong nerve and handle the stressed out brides with utmost care and precision; no one can stop you from being a world-class makeup artist under the banner of TBG. 5. As a candidate applying for the position of TBG artist, it is important to carry knowledge on different products and brands depending upon the department you are applying for, also be aware of the duplicate products. We ensure quality of the brands and products being used for any kind of service. 6. Regular training is conducted for the artists to make them more aware of the daily growing trends in different arenas of beauty and styling, along with the health and fitness of brides. 7. TBG bridal makeup artists or hair stylists, or even fashion designers, do not charge clients beyond what is mentioned on the TBG pricelist. Billing and price are strictly under the control of TBG management to ensure customers are charged by artists uniformly. TBG rates are uniform and rightly priced in the market. 8. TBG artists are selected from all over nation. Although being an online portal exclusive to the South Indian brides, if the prospective makeup and hair styling candidates from North India have that required perfection on the South Indian bridal needs; they might end up getting selected without a second thought. 9. On receiving continuous bad feedback or complaints from the brides or clients, management can always discontinue with the concerned bridal artists or designer. 10. Assistants and individual team members of all TBG teams/departments; also get evaluated along with the main artist. 12. High range packages and services are assigned only for top notch bridal fashion designers, bridal makeup artists or professionals, recruited from the respective industries, who’re hand-picked after a rigorous scrutiny. 13. People who get rejected during selection procedure need not worry as they can reapply after 8 months from the date of application. Isn’t that cool? 14. Artists who do bridal works as part time and have a different profession are debarred from applying for the job of TBG artist. There is no way that a candidate already associated to another profession can be allowed to be part of the TBG team. This is been maintained for the sheer purpose of maintaining a thorough professional and high class service as promised by TBG. 15. Artists once blacklisted cannot re-join TBG. This is a very stringent rule followed by the institute in order to maintain decorum among all the employees not matter what level of designation they hold. 16. TBG artists and designers are the highest earning bridal artists in South India-not due to their high pricing but because of the trust we developed with our brand and training programmes. We have designed different Makeup Artist Courses & Workshops at a very worth pricing of 2,000 to 30,000 INR. TBG’s professional makeup courses are designed to make the artists the most proficient ones in beauty and corrective techniques in order to further maintain their careers as makeup artists. TBG is a disciplined institute that tries to cater to the bridal needs of the South Indian brides not only across India, but also the NRI ones who fly down here for their wedding. It has a well-knit team that keeps communicating with the prospective NRI brides much before they fly down to India for the wedding and reception.